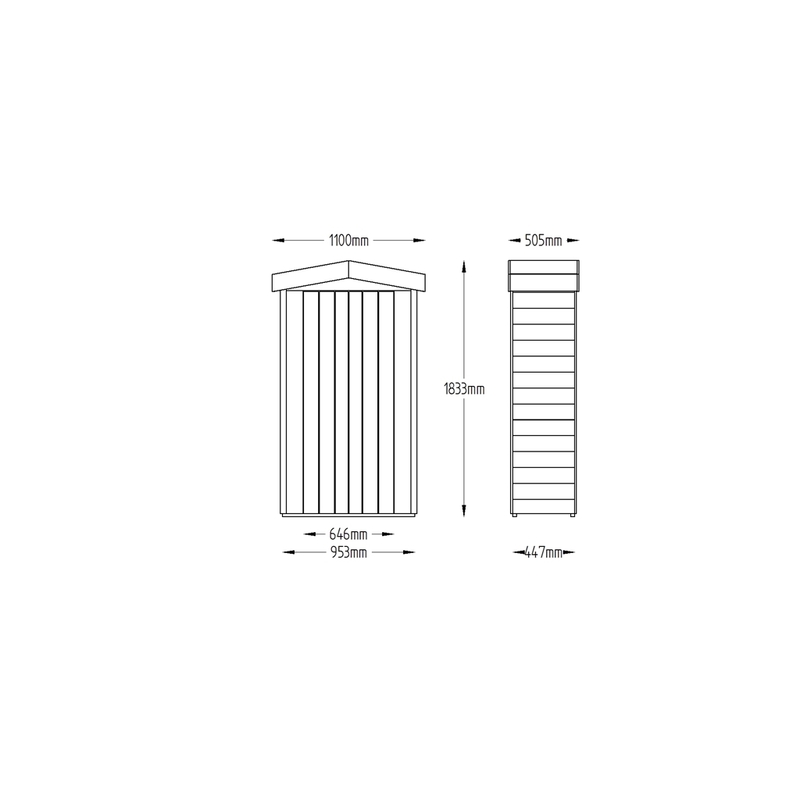 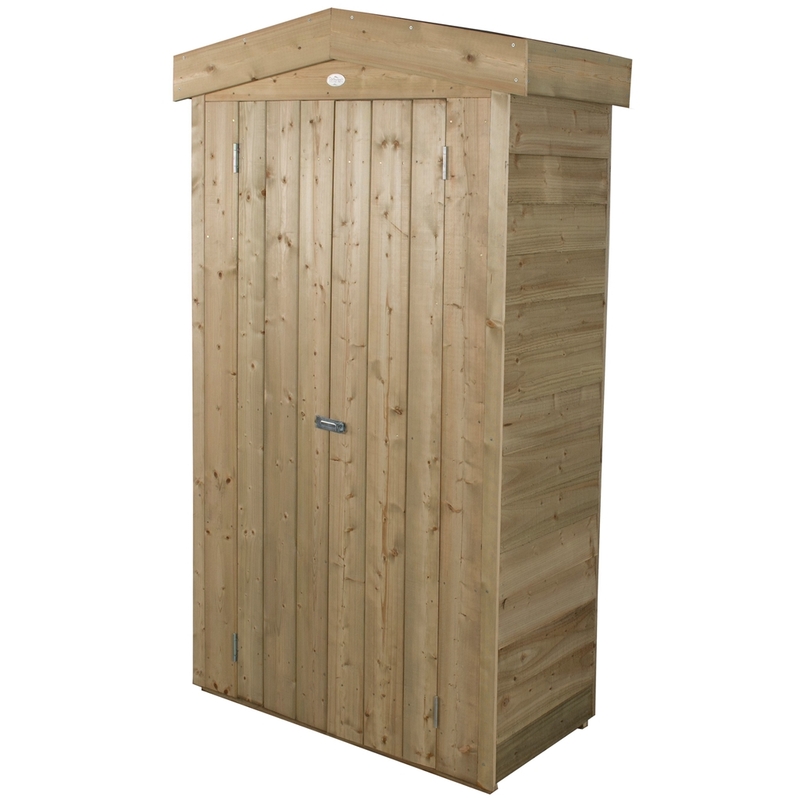 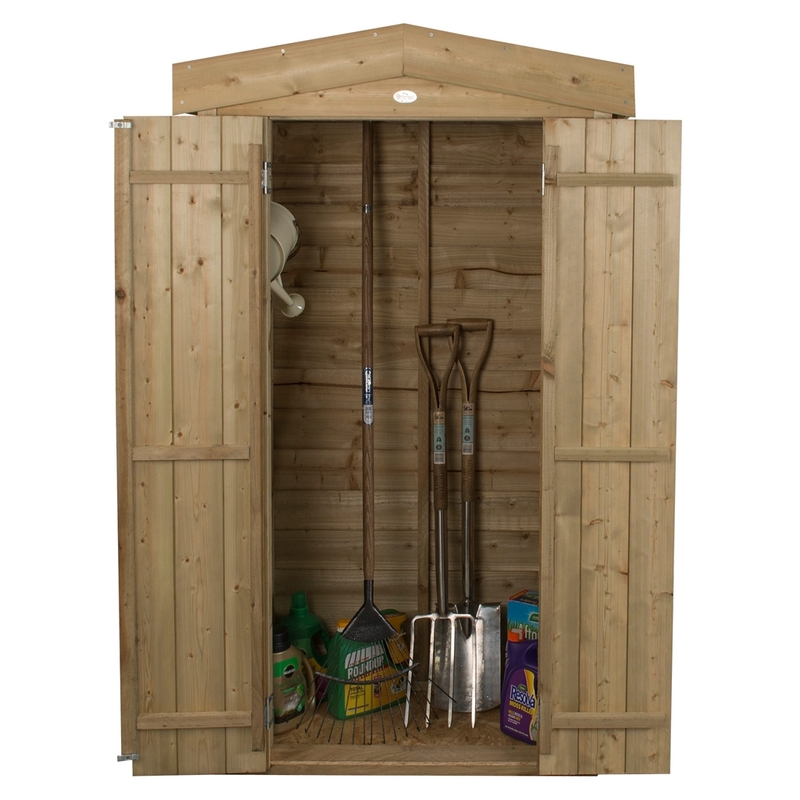 This Tall Garden Store provides 750 litres of storage capacity in a small area. 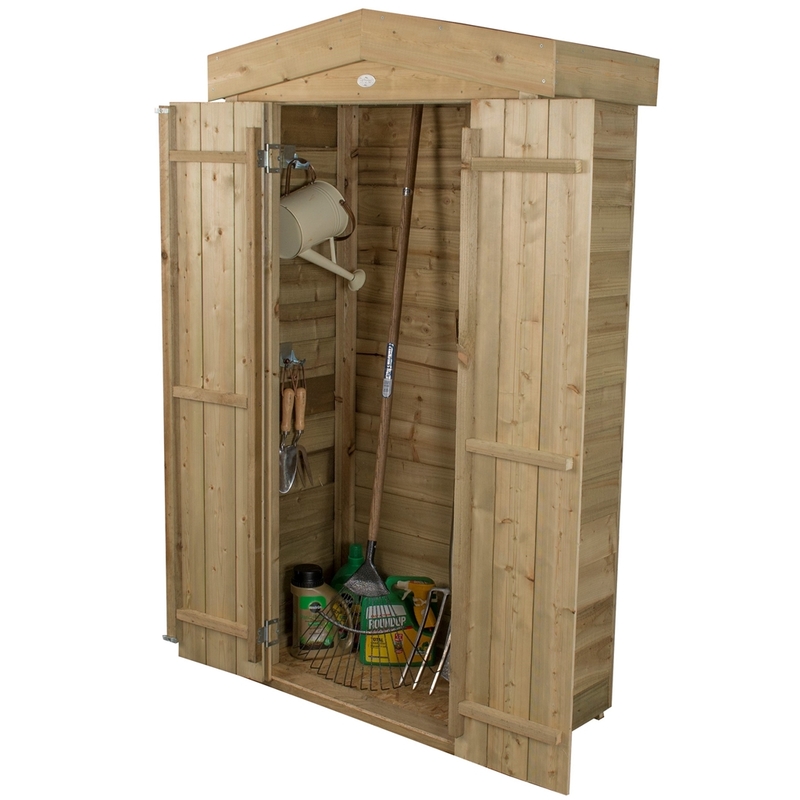 With a roof height of just under six feet it’s perfect for keeping long handled gardening tools, children's toys or folding furniture neat and tidy. 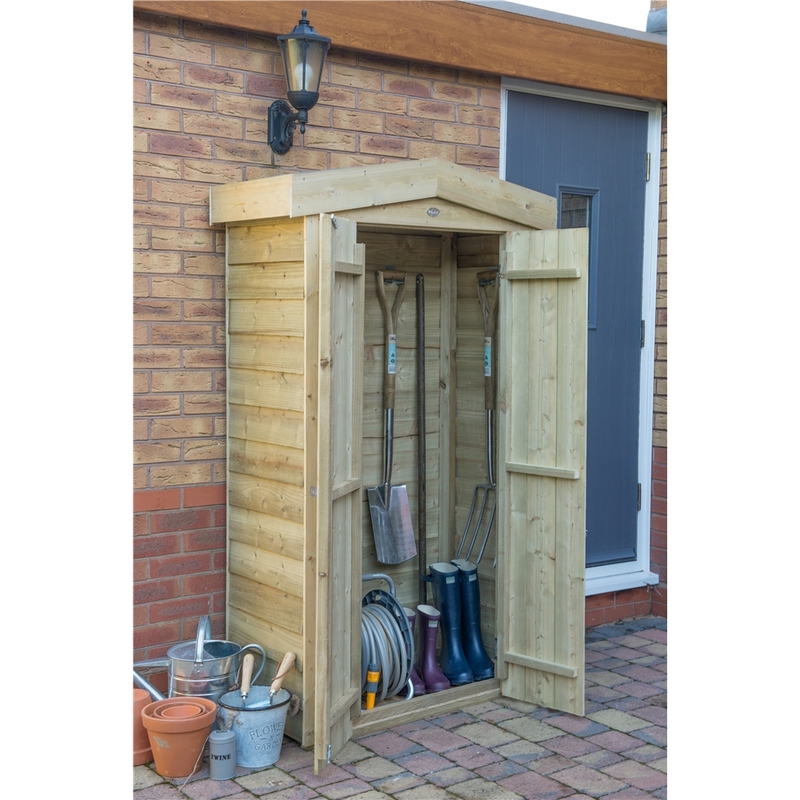 The relatively small footprint means it is ideal for positioning against a wall or fence and will blend attractively into any garden. 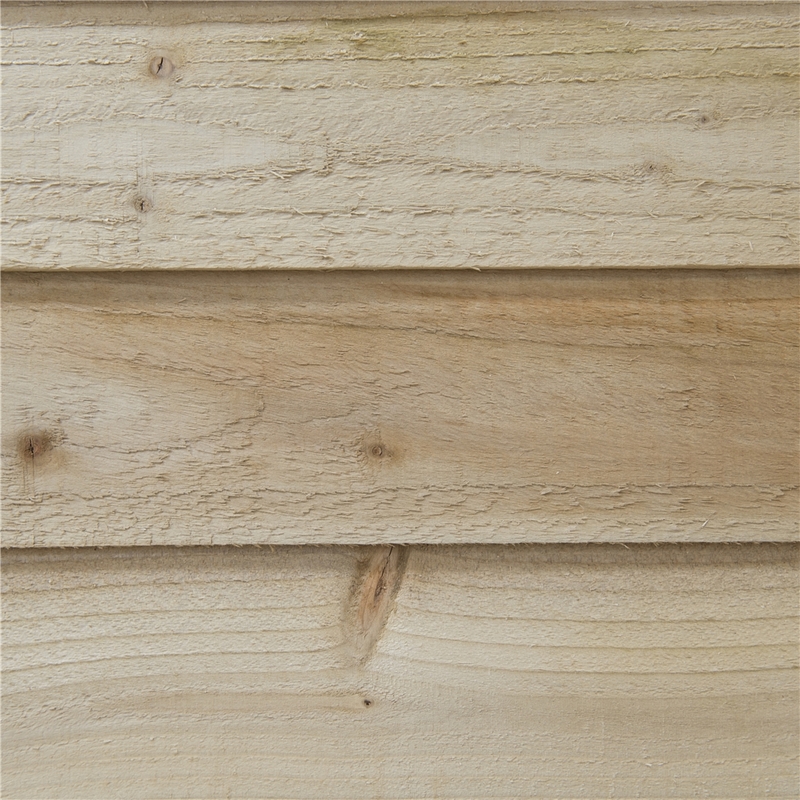 The store is made from traditional Pressure Treated overlap panels and finished with smooth-planed barge boards. 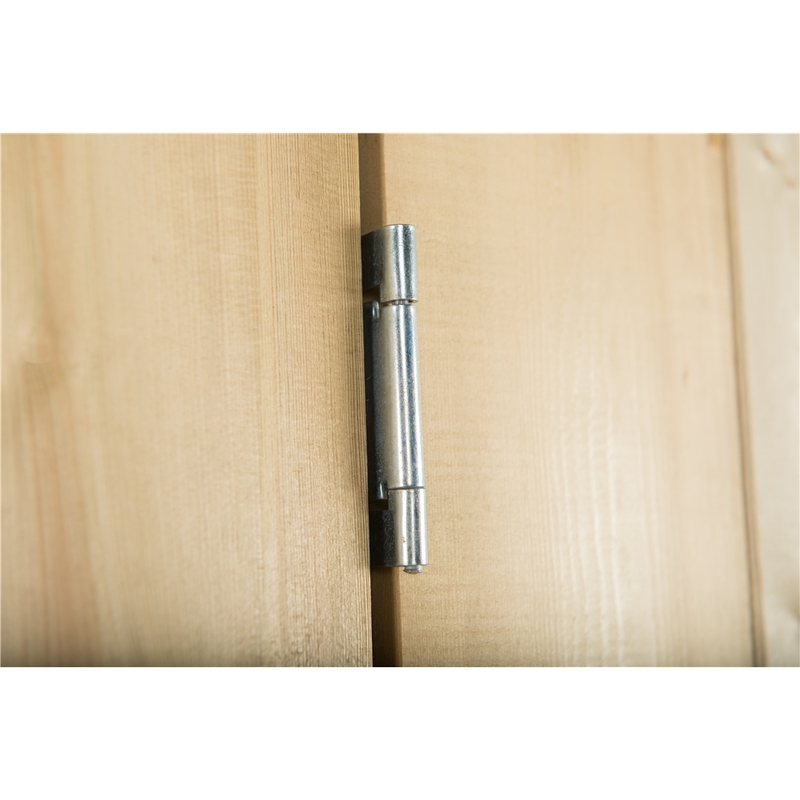 The front has attractive, smooth-planed interlocking Shiplap Tongue & Groove panels. 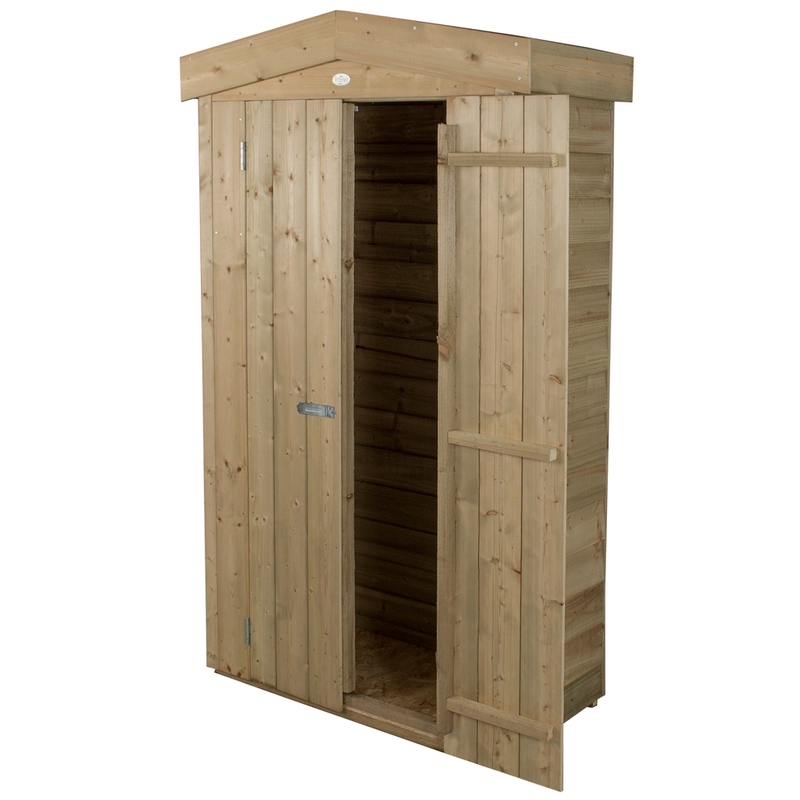 The felted Apex roof keeps the store weathertight and the floor is mounted on Pressure Treated bearers to keep it off the ground and dry. 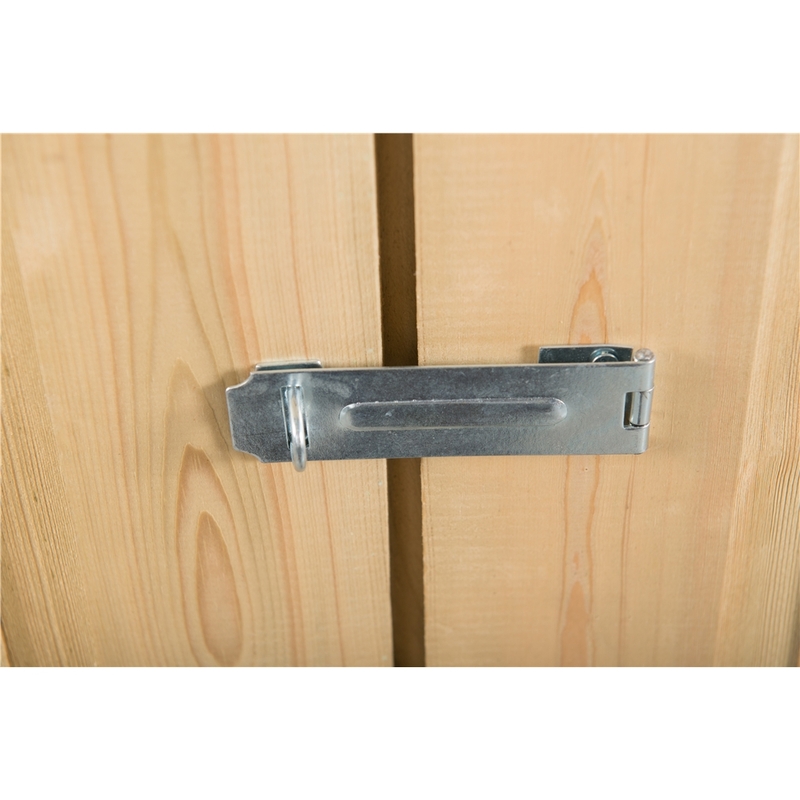 The double doors are fitted with a plate hasp and staple latch that can be securely fastened with an additional padlock. 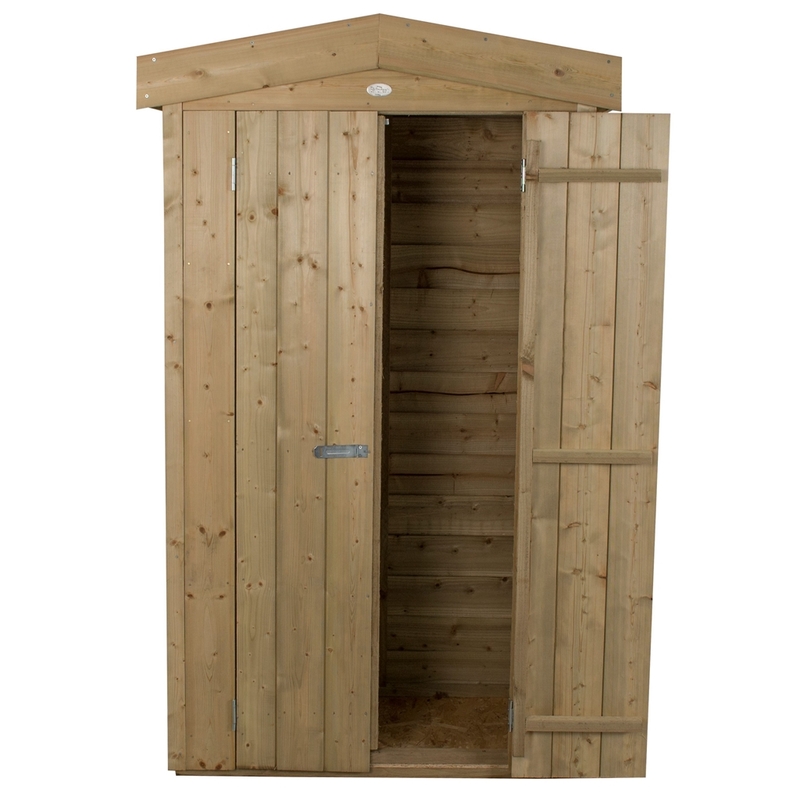 Also available with Pent roof. 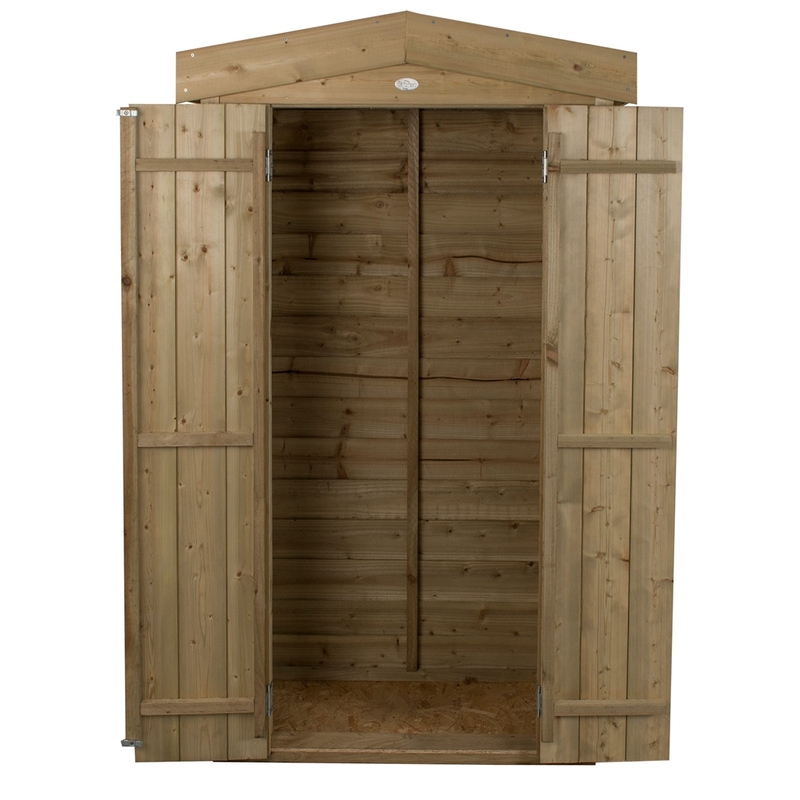 Also available with installation included - Please see additional listing.